Over the course of 2017 we look forward to meeting many of you and going on lots of exciting adventures and we hope to share some of these stories with you all along the way. 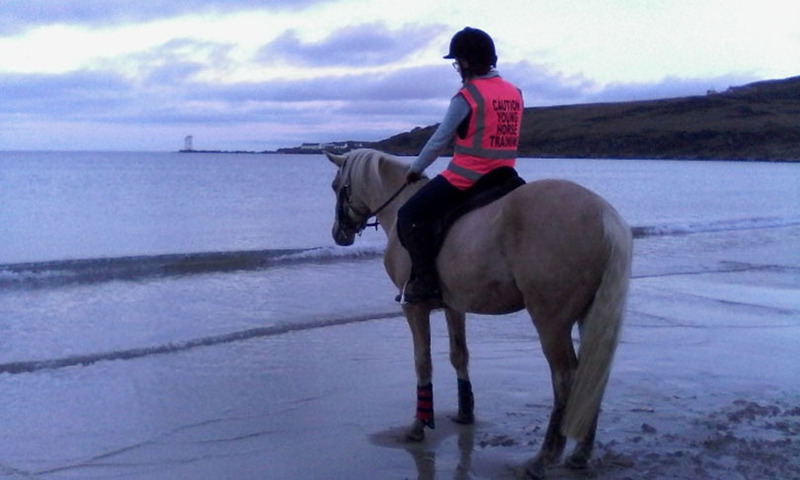 To mark the start of our 2017 season we wanted to share a few stories from 2016, at this time focusing on people who came to us looking for an adventure that would support their young horse and in doing so raise their own confidence levels. This is the sort of invitation we love at Wilder Ways. While each story has its ‘challenges’ to be overcome, really this is about seeing the opportunities in all that we do. 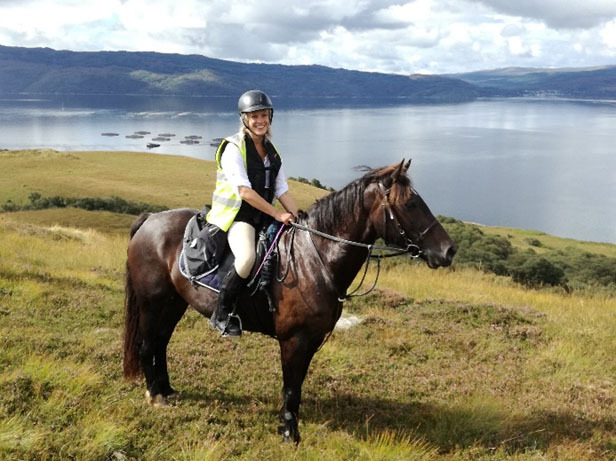 If any of these stories strike a chord with you or you want to find out more information about the adventures you can join with your own horse, please do get in touch with us at adventures@wilderways.scot or 01369 860 732, we would love to hear from you. ​Young Bruno is spooky and afraid of water. See how a simple game of ‘put your nose on it’, the will of the herd and building Nickie’s confidence mean that even gunshot didn’t stop this pair reaching their goals. Our friendly challenge; stroke your horse instead of patting and let us know if anything changes. ​Check out their progress in this You Tube video. Read Nickie & Bruno’s full story here. 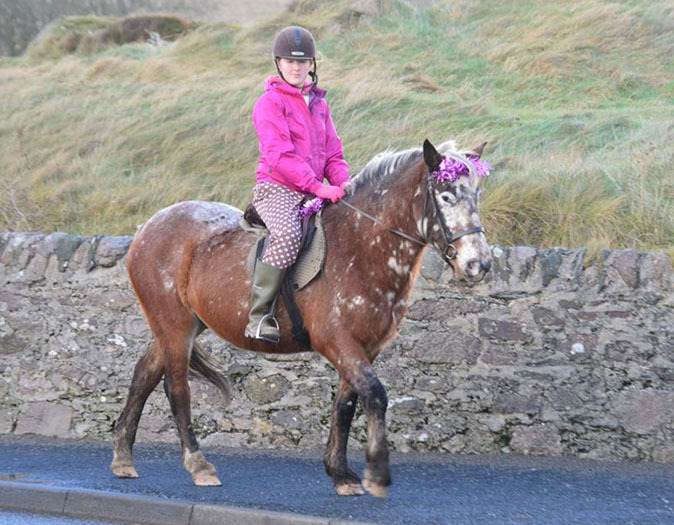 A 14 year old rider and 6 year old spotty spooky pony – what could possibly go wrong? It was a joy to watch the partnership of this pair grow in just a few days. Well timed, clear and consistent pressure and release allowed these two to talk the same language – the trouble they can get up to now is endless! Today Elizabeth says “Pippa is noticeably more confident. Can’t wat to see yous again this year, I would love to continue working on trust”. Our friendly challenge; ride somewhere new today and share your story. Check out their progress in this You Tube video. Read Elizabeth & Pippa’s full story here. Frankie thinks he’s boss. Late weaned, late gelded, a cute baby turned bully – in a loveable rogue sort of way. Emma rescued Frankie. She loves him dearly and is a very competent rider, she just couldn’t get her point across. Read Emma & Frankie’s full story here.